LAST CARD IN SET!!! 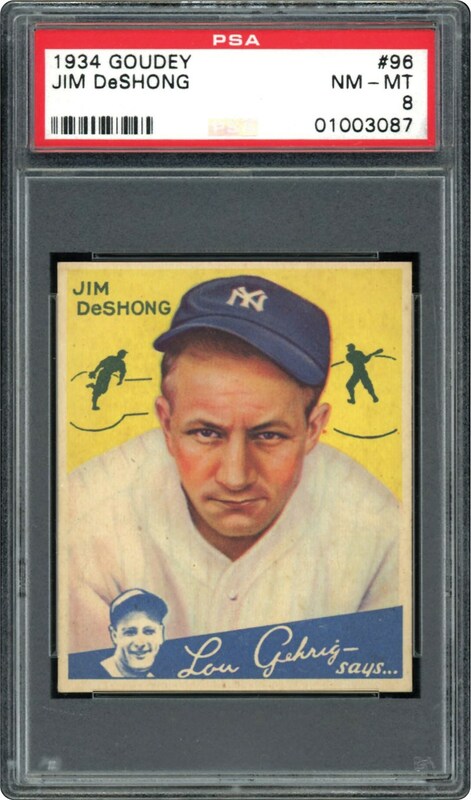 DeShong was dealt from the Yankees to the Senators in 1936 and promptly posted an 18-10 mark as a starter. 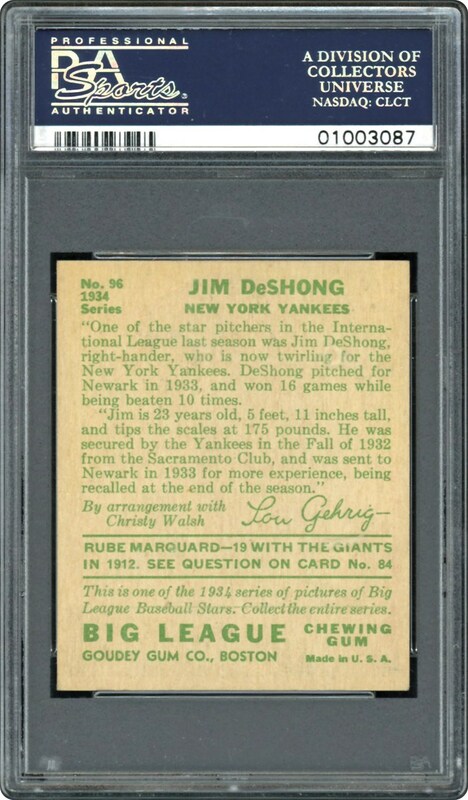 This 1934 Goudey has only 1 card grading higher.